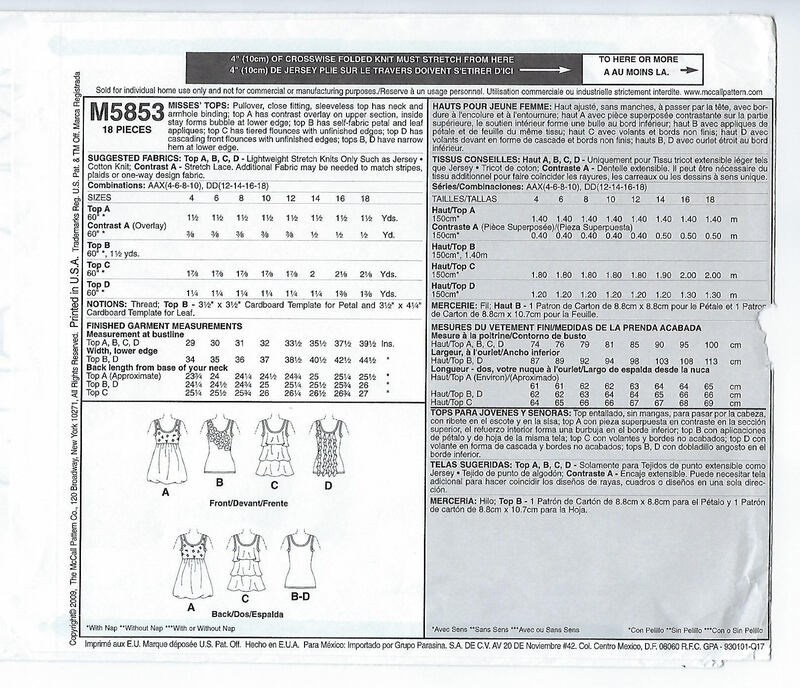 Package includes patterns and instructions to make MISSES Tops. 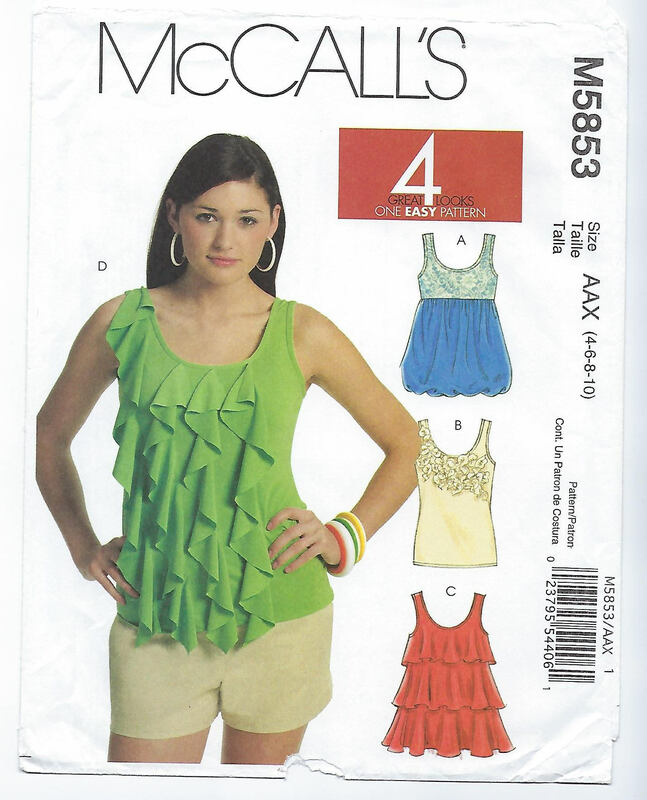 Pullover, close fitting, sleeveless top has neck and armhole binding; top A has contrast overlay on upper section, inside stay forms bubble at lower edge; top B has self-fabric petal and leaf appliques; top C has tiered flounces with unfinished edges; top D has cascading front flounces with unfinished edges; tops B, D, have narrow hem at lower edge. 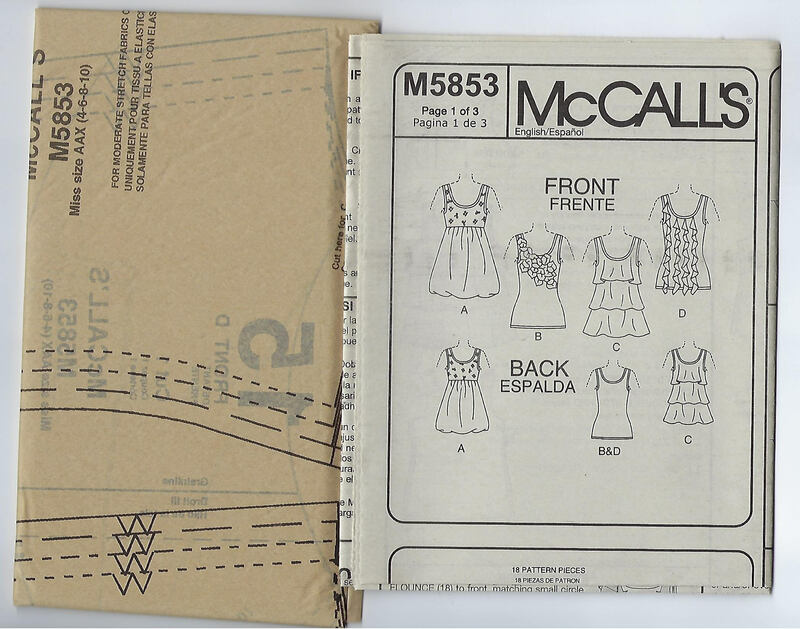 Pattern Envelope: Very Good condition. Small hole bottom of pattern envelope. Visible in photos. No damage to actual sewing pattern.